The Ironman All Country CHT – Effective Every Day. Designed for frequent starts, stops and turns, the M+S rated All Country CHT gives commercial vehicles more reliability to ride on. 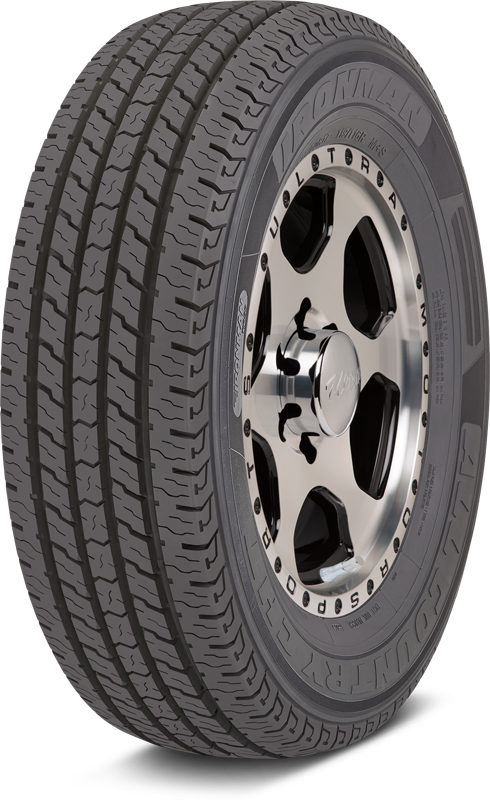 With an optimized, five-rib tread pattern that reduces road noise and promotes balanced tread wear, the All Country CHT is a perfect tire for trouble-free everyday use, delivering a quieter, more comfortable ride and extended life while ensuring long-running performance and trouble-free mileage. Commercial grade construction and compounding. Four wide circumferential grooves promote rapid water evacuation to help prevent hydroplaning. Five-rib design promotes balanced tread wear and increases stability on a variety of road surfaces. Continuous shoulder rib fights irregular wear, helps increase tread life and improves steering response.